Hout Bay (Afrikaans: Houtbaai, meaning "Wood Bay") is a suburb of Cape Town, South Africa situated in a valley on the Atlantic seaboard of the Cape Peninsula, twenty kilometres south of the Central Business District of Cape Town. The name "Hout Bay" can refer to the town, the bay on which it is situated, or the entire valley. Afrikaans Pronunciation: həʊ-'t bʌɪ / hoe-'t (contracted "t") bye. English Pronunciation: həʊ-'t beɪ / hoe-'t (contracted "t") bay. Adapted English Pronunciation: haʊ-'t beɪ / how-'t (contracted "t") bay. When the Dutch established a colony in Table Bay in 1652, a great quantity of good timber was required for construction, shipbuilding and other purposes. There was no large forest in the immediate vicinity of the settlement, mainly because the rainfall was not high enough. It was soon apparent that the colonists would be able to fell wood they needed in the wetter valley that lay on the other side of a low pass (called Constantia Nek) between the southern end of Table Mountain and Constantiaberg. The area was originally made up of two farms, which were slowly subdivided to make way for urban expansion. While still maintaining its rural atmosphere, the area of Hout Bay has more than 12,000 residences inhabited by a population of about 42,000 people. Hout Bay is divided into several neighbourhoods. The Hout Bay Neighbourhood Watch describes 28 distinct areas. 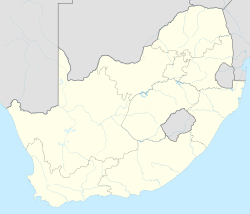 Suburbs include Scott Estate, Hanging Meadows, Baviaanskloof, Hillcrest, Bergendal, Penzance, Imizamo Yethu, Meadows, Tarragona, Oakwood, Bokkemanskloof, Overkloof, Silvermist, Longkloof, Valley, Victorskloof, Nooitgedacht, Beach Estate, Northshore, Mount Rhodes, Klein Leeukoppie Estate, Ruyteplaats, Tierboskloof, Kronenzicht, Hangberg, Hout Bay Heights and Hughenden Estate. Llandudno an entirely separate village of about 200 houses lies over the "Suikerbossie" pass from Hout Bay. The Hangberg settlement is situated on the mountain slopes between Hout Bay Harbour and The Sentinel peak, and many of the residents are employed in fishing and other industries related to the harbour. The main informal settlement in the Hout Bay area, Imizamo Yethu, is situated within a community consisting of both affluent and middle income citizens. Relations between the residents of Hout Bay and those of Imizamo Yethu have been strained for several years following the national elections in 1994 and 1999. The initial response to Imizamo Yethu was not favourable, and residents of Hout Bay, represented by the Hout Bay Ratepayers' Association and the Hout Bay Residents' Association, strongly objected to the location and management of the informal settlement and also the suggestion of an increase in the land used for the settlement in 2001. Both associations feared that the land invasions at the time were racially motivated, whereas the African National Congress feared that the Residents Association of Hout Bay was creating a racially charged environment and refusing to develop land for housing. Current issues between residents of Hout Bay and Imizamo Yethu are focused on service delivery for the informal settlement. The 18 hectares (44 acres) area supports 20,000 people, with many of these living in cramped and squalid conditions with no plumbing, roads or any discernible infrastructure for sustainable living. This is in sharp contrast to the affluence of residences in much of Hout Bay. In addition to much middle income housing for local South Africans, there are also a number of multi-million rand mansions, luxurious holiday homes and some small wine estates. As of 2007, political differences between the Democratic Alliance and African National Congress have hampered the building of houses for the residents of Imizamo Yethu. Hout Bay is surrounded by mountains to the north, east and west and the southern Atlantic Ocean to the south. In the north, it is bordered by Table Mountain National Park comprising the Orangekloof Nature reserve and the bottom slopes of Table Mountain beyond that. To the north-west, it is bordered by the backside of the Twelve Apostles, known as the Oranjekloof. To the west, it is bordered by Little Lion's Head, Karbonkelberg, Kaptein's Peak and The Sentinel. To the east it is bordered by the Vlakkenberg, Skoorsteenskopberg and Constantiaberg. Chapman's Peak Drive is carved out of the mountainside and leads towards Noordhoek and onwards to Cape Point. The sheltered bay of Hout Bay has a white sand beach, an attraction for tourists and locals alike. Hout Bay has one of the busiest fishing harbours in the Western Cape with an established tuna, snoek and crayfish industry. The harbour is home to the Hout Bay Yacht Club and several restaurants. There are three roads leading to and from Hout Bay, all over mountain passes. One goes to Llandudno and Camps Bay through the pass between Judas Peak (part of the Twelve Apostles) and Little Lion's Head. This pass is known as "Suikerbossie" (known as the toughest hill on the Cape Argus Cycle Race). Between Hout Bay and Noordhoek there is Chapman's Peak Drive, which was closed for many years and finally reopened in early 2004 with a controversial toll booth. Lastly a road leads to Constantia over the Constantia Nek pass between Vlakkenberg and the back slopes of Table Mountain. Hout Bay as seen from Suther Peak. The west coast of the Cape Peninsula, up to Signal Hill, is on the left. The bay, with Chapman's Peak, is on the right. Off the coast of Hout Bay, is a Big Wave known as "Dungeons". The annual Red Bull Big Wave Africa competition was held here but has been suspended. Swells of up to 47 feet (14.3 m) have been recorded here as well as numerous deaths as a result of boating, diving and surfing-related incidents in the area. The spot itself consists of various reefs. The most popular is called "2.5" since it is 2.5 metres (8.20 ft) deep. Behind it is "3.5", which is 3.5 metres (11.48 ft) deep. There is also a reef that is reputed to be able to hold a 100-foot-high (30 m) wave, should one ever come. Before the use of jet-skis to enter and leave the area, the surfers who braved these waters had to paddle through a dark and deep channel, through to where the waves break. Hout Bay is the base port to rich marine life and offers some of the finest yellowfin tuna (Thunnus Albacares), longfin tuna (Thunnus Alalunga), and yellowtail (Seriola Lalandi) fishing in the world along with a huge variety of pelagic sea birds with many different species been sighted at different times of the year. As a historic and still-working fishing village, Hout Bay's local colour and scenery make it a tourist attraction among both local and international visitors. There are a variety of restaurants in the village as well as two hotels (the Hout Bay Manor and the Chapman's Peak Hotel), a number of bed and breakfasts and self-catering accommodation options. The harbour has restaurants, fresh fish outlets and craft stores, with views of the bay and boat rides to Duiker Island and around The Sentinel. Chapman's Peak Drive is a scenic mountain drive and underwent renovations to ensure the safety of travellers using the route. The East and West forts built by the Dutch in the 18th century can also be visited, with the original cannons and barracks still standing on the slopes of Chapman's Peak. The East Fort is the oldest operating gun battery in the world. The mountains surrounding Hout Bay also have hiking trails. In the same area is a bronze statue of a leopard on a rock at the water's edge, looking out over the ocean. The Red Bull Big Wave Africa surfing contest is held on the other side of the Sentinel mountain, at the Dungeons. Some of the biggest waves in the world are found here and these attract surfers from all over the world. The competition is held during May to August, when the waves reach heights of 15 ft (4.57 m) to 20 ft (6.10 m). The Hout Bay Yacht Club is situated in the working harbour and provides moorings for both recreational, fishing and sailing boats. Since Hout Bay has a number of attractions, during the Christmas holidays (which is also summer in South Africa), Hout Bay is buzzing with people. [tone] Traffic builds up quickly and the small village can be congested by midday. The Hout Bay Harbour market is one of the places which gets filled quickly during this busy time. The market is used by both tourists and locals alike. Here handmade arts and crafts can be bought and a range of foods is available. The World of Birds is a bird sanctuary and zoo found along Valley road which is commonly visited by families with young children. Hout Bay Museum has a small information centre located in its premises. The chemicals released by the Oceana fishmeal factory in Hout Bay harbour has elicited a number of complaints and has a negative impact not only on tourism, but on the lives of the people living in the whole area. People have taken to social media to vent their frustrations about the City of Cape Town's apparent inaction. Sydney Skaife, entomologist and naturalist. Pieter Jansz van der Westhuizen, founding ancestor of the van der Westhuizen family. Crime within Hout Bay increased markedly up to 2003, particularly in property crime such as housebreaking and vehicle theft. In response, the Hout Bay community formed a neighbourhood watch group which has been effective in greatly reducing crime in the valley. Initiatives of this group include further policing, roadblocks, CCTV monitoring, radio network, day and night patrols and the establishment of a 24-hour emergency call centre. ^ a b c d "Main Place Hout Bay". Census 2011. ^ tinashe (16 March 2011). "Hout Bay". ^ Daniella Potter (2017-03-13). "Donations pour in for Hout Bay residents as fires continue to rage – The Citizen". Citizen.co.za. Retrieved 2018-08-10. ^ "The Big Wave Blog". www.thebigwaveblog.com. Archived from the original on 2014-03-12. Retrieved 2014-03-12. ^ Preen, Denham. "Xtreme Fishing Charters". www.xtremecharters.co.za. Retrieved 2016-02-03. ^ "Hout Bay Organised". www.facebook.com. ^ "Hout Bay Complete". www.facebook.com. Wikimedia Commons has media related to Hout Bay.